Hazrat Inayat Khan (5th July 1882 – 5th February 1927), founder of the Inayati Order International, came to the West as a representative of the highest musical traditions of his native India, and brought with him a message of love, harmony, and beauty that was both the quintessence of Sufi teaching and a revolutionary approach to the harmonizing of Western and Eastern spirituality. 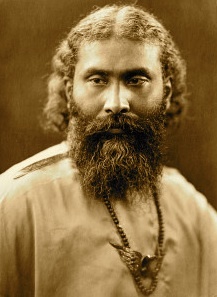 Inayat Khan took initiation from Shaykh al-Mashaykh Hashim Madani. At the end of his apprenticeship, Inayat Khan was enjoined by his teacher to travel to the West and harmonize the two cultures. When Pir-O Murshid Hazrat Inayat Khan came to the West in 1910, he brought with him the traditions of the Sufi schools of India and Central Asia. In his teaching he asked no one to change his or her religious beliefs transmitting the wisdom of Sufism while pointing out its compatibility with all of the worlds religions. He defined Sufism as “a religious philosophy of Love, Harmony, and Beauty,” and introduced the idea of spiritual guidance, an idea little known in the western world. The harmony between the traditions of the East and the dynamism of the West embodied in the teaching of Inayat Khan is a message that continues – through prayer, meditation, contemplation, and concentration – to enable the wisdom of the past to awaken to the spirituality of the future.